Andrei Zhdanov was born in Mariupol, Ukraine, on 14th February, 1896. He joined the Bolsheviks in 1915 and as a close associate of Joseph Stalin he made steady progress in the Communist Party hierarchy. Zhdanov helped develop Stalin's cultural policy and was behind the establishment of the Union of Soviet Writers and the doctrine of Socialist Realism. After the assassination of Sergy Kirov in 1934 Joseph Stalin appointed Zhdanov as governor of Leningrad. In this post he played an important role in the Great Purge that took place in the Communist Party between 1934 and 1941. Isaac Deutscher commented: "Stalin appointed Andrei Zhdanov to succeed Kirov as the governor of Leningrad. Zhdanov was a young, capable, and ruthless man, who had purged the Komsomol of deviationists and distinguished himself in arrogant attacks on Tomsky during the fight in the trade unions. Stalin could rely upon him to destroy the hornets' nest in Leningrad. In the spring of 1935 tens of thousands of suspect Bolsheviks and their families were deported from Leningrad to northern Siberia." As party boss of Leningrad he helped defend the city in the Second World War. After the war Zhdanov organized Cominform (Communist Information Bureau) and was instrumental in formulating an aggressive, anti-Western foreign policy. Milovan Djilas met him during the war: "Zhdanov... was rather short, with a brownish clipped moustache, a high forehead, pointed nose, and a sickly red face. He was well educated and was regarded in the Politburo as a great intellectual. Despite his well-known narrowness and dogmatism, I would say that his knowledge was not inconsiderable. Although he had some knowledge of everything, even music, I would not say that there was a single field that he knew thoroughly - a typical intellectual who became acquainted with and picked up knowledge of other fields through Marxist literature." 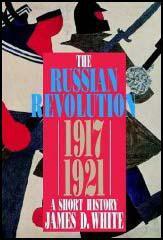 Zhdanov also led the post-war purge of non-conformist artists and intellectuals in the Soviet Union. He demanded that Soviet writers adhere to the principle of Partiynost (party spirit). That is, that they follow closely the views laid down for them by the Communist Party. This also became known as Zhdanovism. Zhdanov also banned progressive journals such as Zvezda and Leningrad and expelled people such as Mikhail Zoshchenko from the Union of Soviet Writers. Nikita Khrushchev later commented: "I think Stalin's cultural policies, especially the cultural policies imposed on Leningrad through Zhdanov, were cruel and senseless. You can't regulate the development of literature, art, and culture with a stick, or by barking orders. You can't lay down a furrow and then harness all your artists to make sure they don't deviate from the straight and narrow. If you try to control your artists too tightly, there will be no clashing of opinions, consequently no criticism, and consequently no truth. There will be just a gloomy stereotype, boring and useless." Andrei Zhdanov died on 31st August, 1948. (1) Nikita Khrushchev was critical of Stalin's cultural policies implemented by Andrei Zhdanov. Stalin appointed Andrei Zhdanov to succeed Kirov as the governor of Leningrad. Zhdanov was a young, capable, and ruthless man, who had purged the Komsomol of deviationists and distinguished himself in arrogant attacks on Tomsky during the fight in the trade unions. Stalin could rely upon him to destroy the hornets' nest in Leningrad. In the spring of 1935 tens of thousands of suspect Bolsheviks and their families were deported from Leningrad to northern Siberia. Zhdanov, too, was rather short, with a brownish clipped moustache, a high forehead, pointed nose, and a sickly red face. He was well educated and was regarded in the Politburo as a great intellectual. Despite his well-known narrowness and dogmatism, I would say that his knowledge was not inconsiderable. Although he had some knowledge of everything, even music, I would not say that there was a single field that he knew thoroughly - a typical intellectual who became acquainted with and picked up knowledge of other fields through Marxist literature. He was also a cynic, in an intellectual way, but all the uglier for this because behind the intellectualism one unmistakably sensed the potentate who was 'magnanimous' toward men of the spirit and the pen. This was the period of the 'Decrees' - decisions by the Soviet Central Committee concerning literature and other branches of the arts which amounted to a violent attack against even those minimal freedoms in the choice of subject and form that had survived (or else had been snatched from) bureaucratic Party control during the war. I remember how that evening Zhdanov told as if it were the latest joke how his criticism of the satirist Zoshchenko had been taken in Leningrad: they simply confiscated Zoshchenko's ration coupons and did not give them back to him until after Moscow's magnanimous intervention. Before his death, Zhdanov had been in poor health for some time. I don't know what he was suffering from, but one of his ailments was that he had lost his will power and was not able to control himself when it came to drinking. It was pitiful to watch. I even remember that in the last days of Zhdanov's life, Stalin used to shout at him to stop drinking. This was an astounding thing because Stalin usually encouraged people to get drunk. But he compelled Zhdanov to drink fruit water and suffer while the rest of us were drinking wine or something stronger.